The equipment, including all the accessories supplied, is let out on hire. It remains the property of Smugglers Rock and the guest will not sell, hire out or otherwise part with it. If you choose to decline the helmet provided, or not wear it, you will be deemed to have accepted full responsibility for this decision. The guest must not misuse the equipment and accessories and return everything in the same condition as received. If misused, Smugglers Rock will be entitled to charge the guest for any damages caused during the period of use. In the event of a breakdown, other than the guests’ misuse, Smugglers Rock will try its best to repair or replace the equipment for the guest. Non-electric standard bike repairs, like punctures, can be undertaken by the guest or any reputable bike shop. 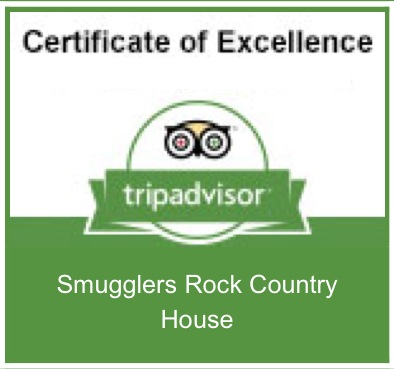 The guest should contact Smugglers Rock if in any doubt. The Electric Bike or accessories must not be used whilst under the influence of drink or drugs. The Bike rental period is 10am to 6pm or dusk (whichever is sooner) with no extensions. We recommend that you take out adequate insurance including medical cover, personal accident, loss of belongings & cancellation cover. We cannot be held responsible for your own illness, injury or loss/damage of your belongings while using our electric bikes. The bike itself is insured by ourselves subject to a £150 excess payable by the guest, for accidental damage and theft (but only when locked and secured to an immovable object). We regret we cannot accept liability or pay any compensation where the performance of Smugglers Rock's contractual obligations is prevented by reasons of circumstances amounting to “force majeure” (war, threat of war, riot, civil strife, industrial dispute, terrorist activity, natural or nuclear disaster, fire or adverse weather conditions, epidemics or health risks) and all similar events outside our control. You must inform us in writing or by email if you wish to cancel your electric bike hire. If cancellation is more than 4 weeks before the start date, a full refund will be given. If within 4 weeks, a 50% refund will be given unless the bikes can be re-hired in which case a full refund will then be given. We will endeavour to ensure that hiring of equipment occurs as scheduled. However, we reserve the right to cancel, amend or alter your hire period date at any time. Where this is necessary, you will be offered an alternative hire date or a full refund on your booking.Unfortunately we cannot compensate you for the cost of travel or accommodation you may have arranged in connection with your hire. I confirm that I have read and agreed all of the above terms and conditions prior to hire.